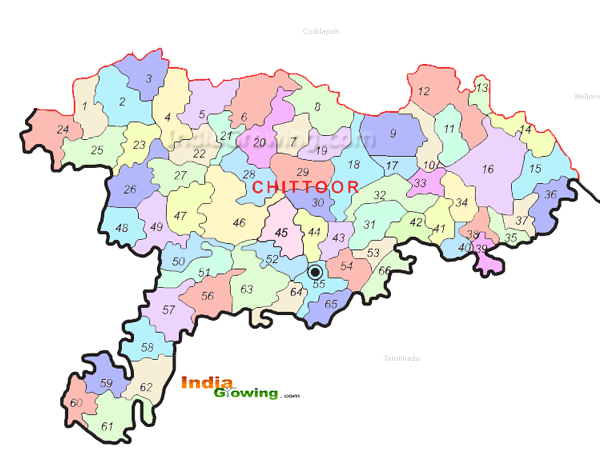 The Nearest Airport to Chittoor is Tirupati Airport (TIR).The Collectorate office for this district is Old Collector Office, and other popular district head offices are DEO Office, District Forest Office, Chittoor District Co-Operative Central Bank, District Employment Exchange, District Court, Chittoor, Industrial Training Institute, The nearby Fire service for this district is AP FIRE SERVICE CHITTOOR. The District Library is District Library.The Head Post office for this district is in Head Post Office. and the Railway Station is Chittoor (station). Below allegations about ZPTC Shankar is baseless and false.He is honest Leader always support people and farmers in the constituency. He has come from ordinary family and achieved so much fame and very good name as people's leader. The water storage tank for agriculture is occupied by many people. There is no control over it and nobody taken care on it. This needs to conduct survey and make a boundary for it. zptc - P Sankhar is a criminal and thief His wife brothers Y Suresh and Ramesh both are street rowdies. They put troubles to their relatives and neighbours and villagers they can behave foolishly totally drunkers and also womeniers. Police people and officials are supporting them I request cut their power and protect Molakalacheruvu. They were having the Gold belong chowdaswari temple sompalli. Your's truly. AS per your given population and other details are completely wrong. there are nearly 12 to 14 villages are there near by chowdasamudram. so i suggested to government please sanction one library to our village.